I’m back….! Can you believe that I haven’t published a blog post since April and I’ve got to say it’s gone so quickly. It hasn’t been a conscious decision not to blog, but life has just got in the way and before I knew it 6 weeks had flown by….. I feel so guilty that I’ve let my blog slide for this length of time but it does mean that I have so many blog posts lined up that I can get cracking on and I don’t have t worry about being stuck for ideas! I really wanted to get this post out weeks ago so I could be one of the first to blog about this palette, as I bought it on the day of its release. I’ve totally failed at that front, but oh well! 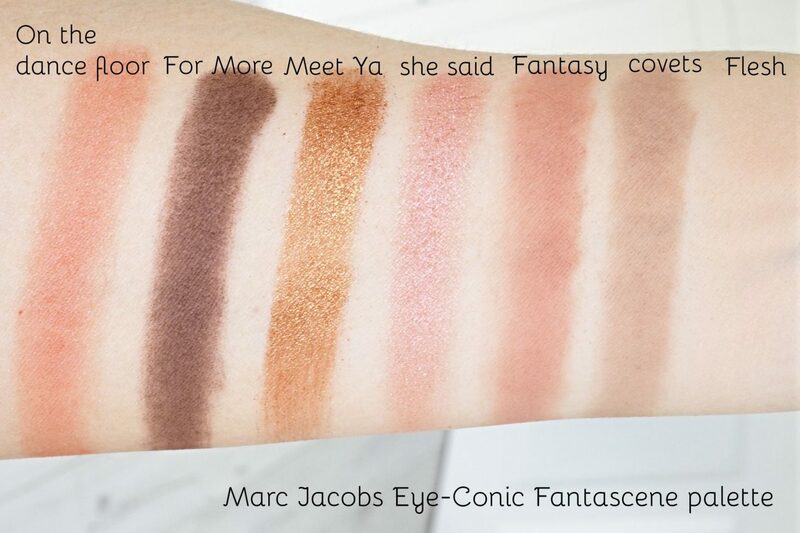 So I’m here to talk to you about the Marc Jacobs Fantascene eyeshadow palette. 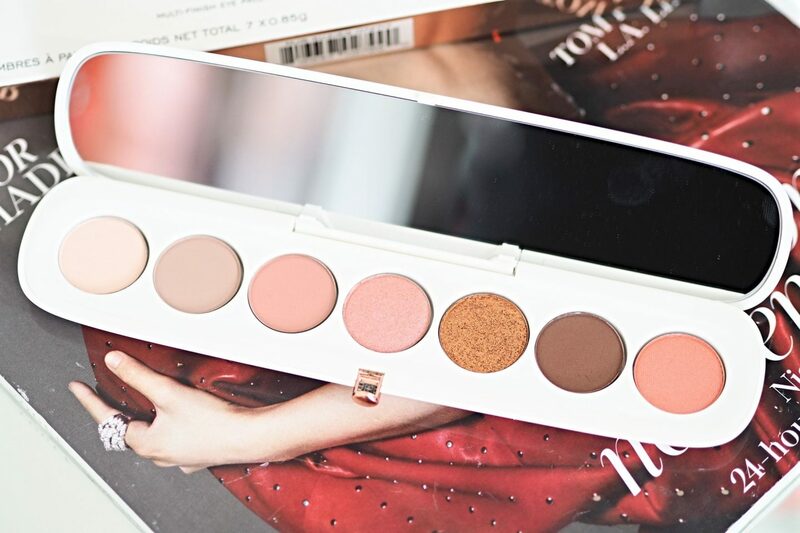 It was released in April and is a limited edition palette brought out as part of their Coconut Fantasy Collection. I’ve tried very little Marc Jacobs products so that’s what tipped me over the edge and made me purchase it – that and it was small so I knew it wouldn’t take up too much room, as man, my beauty stash is (getting) out of control!! 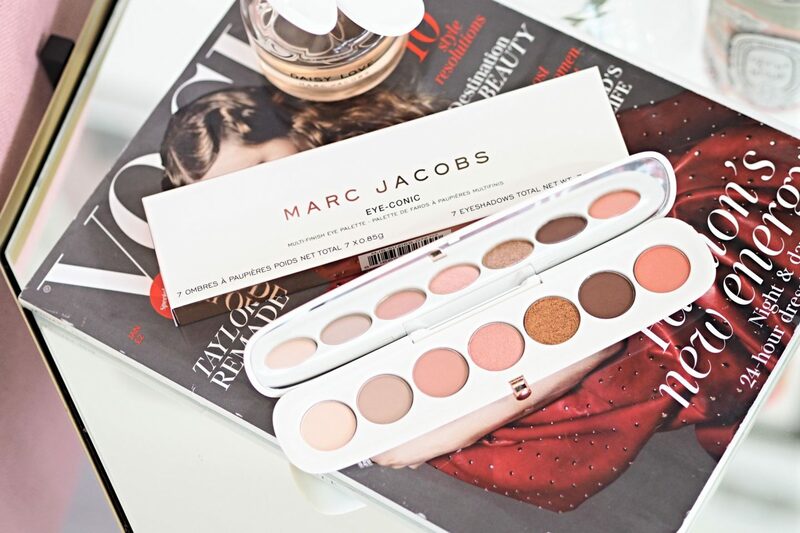 The Marc Jacobs Fantascene eyeshadow palette is housed in a compact smooth white plastic case with a mirror inside, that rumour has it was designed to look like a rear mirror in a car. It has a gold pop in/out clasp which makes it easy to open and close. I must say when I first opened it I was shocked at just how small the pans were (0.85kg each) – for £39 (plus a hefty delivery fee) I was expecting them to be a bit bigger bearing in mind there is only 7 shades inside. The quality of these 7 shades really vary….. Pigmentation wise the mattes are disappointing, apart from “For More” which is very intense and pigmented. When I say disappointing – they are quite smooth and are definitely usable but not the best I’ve tried, and to be honest for the price point of this palette I expected better. They just lacked some punch! “On the dance floor”, “She said” and “Meet ya” have great pigmentation. The golden shade (Meet ya) is thicker than the other formulas, highly pigmented and works better being packed on rather than blended. I love the quality of “She said” and “On the dance floor” – they smooth, creamy and blend well but they are very similar in colour. 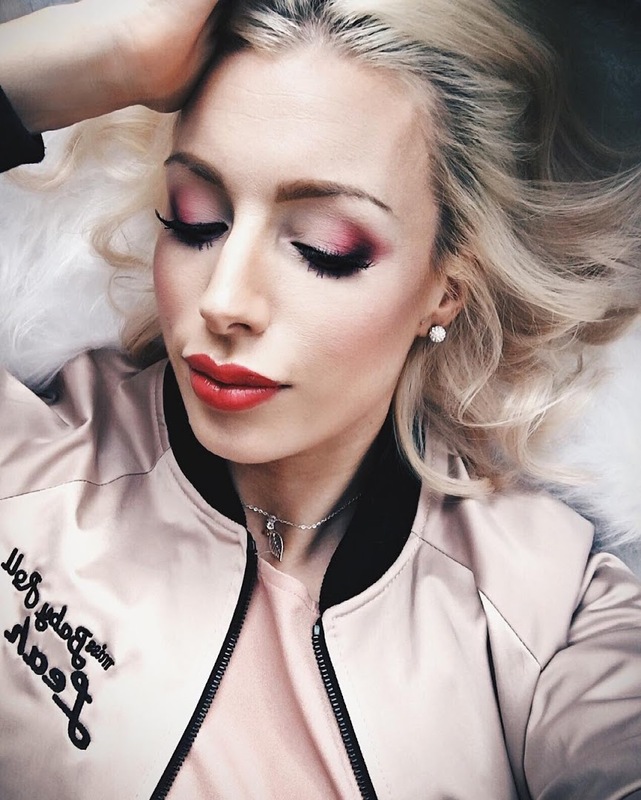 The colour selection is quite unique – I love the pink tones, mixed with the standout “Meet ya” shade, but personally I would say it’s missing some mid tones – something between the pink “On the dance floor” and “For more”. Some mid toned reds/ browns would have been fab. This palette will still get used and the only reason I’m being fairly harsh with my review is because of the price. At £39 for 7 shades you expect premium quality – I’m talking ABH and Tarte quality – but the mattes just aren’t up to scratch in my eyes . So if you have a spare £39 to spend I’d suggest you opt for an ABH, Tarte or Morphe palette. You can buy the Marc Jacobs Fantascene eyeshadow palette here – Well it’s currently sold out, but apparently it is due back in stock so you can add your name to the waiting list! 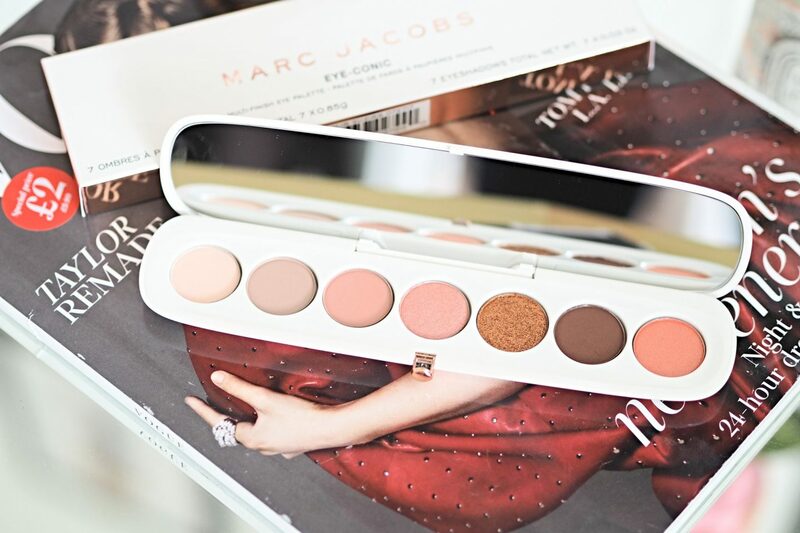 What are your thoughts on the Marc Jacobs Fantascene palette?